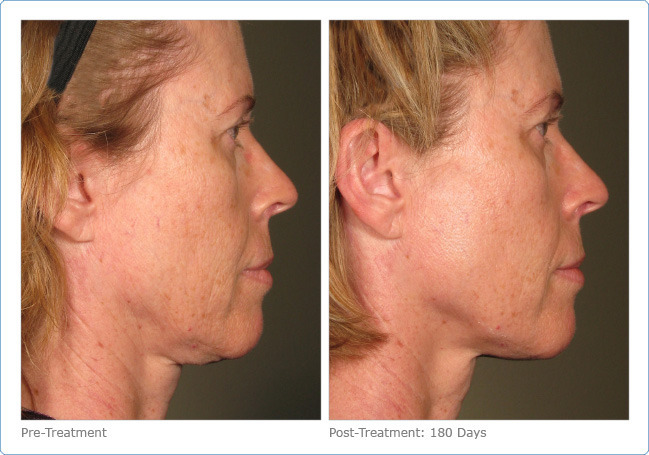 ULTHERAPY is a non-invasive procedure that lifts and tightens the face and neck by focusing sound waves deep under the skin. The FDA approved Ultherapy in 2009, and it is the first and only non-invasive procedure approved by the FDA to lift skin on the neck, chin and brow. The company claims that over 80,000 treatments have been administered worldwide. ULTHERAPY focuses sound waves (ultrasound energy) to target the layers under the skin – the same layers that plastic surgeons focus on during facelift surgery. Other technologies such as lasers and Thermage can only treat the most superficial levels. Ulthera’s focused ultrasound waves stimulate collagen synthesis at a much deeper level below the skin surface, resulting in a more significant lifting effect. How long does it take for Ultherapy to work? Results can be seen as early as the first few days. Over the next couple of months, as the new collagen is gradually reorganized, the lifting and smoothing of the skin becomes more obvious. This procedure is particularly good for patients with some laxity of the jawline and neck, jowls and droopy upper eyelids who are not yet ready for a facelift, forehead lift or eyelid surgery or who don’t want any down-time. How long is the procedure and what is the recovery? The procedure takes from 45 minutes to 2 hours, depending on how much of the face is treated, and patients may return to normal activities a few hours after the treatment. The face may be slightly swollen and sore for a few days. Occasionally, patients may experience mild bruising or have an area of temporary numbness. Other side effects are rare. 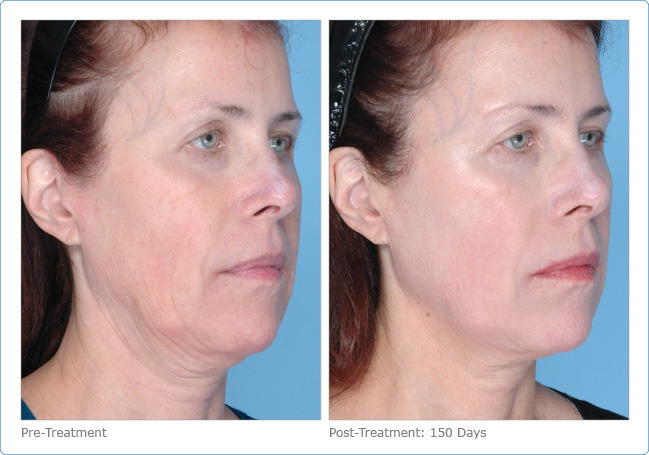 Call us for a consultation for this exciting new technology, and visit the Ulthera website for additional info.